When we think of the death of the British motorcycle industry in the 1970s, we generally recall the final generation of cantankerous, leaky, vibrating, old fashioned crock-pots being foisted onto an increasingly apathetic market. These were conservative and under-engineered machines that harkened back to an earlier era of motorcycle design (and lax quality control). With the advent of oil tight, reliable, well built, and fine-riding Japanese motorcycles (with – gasp – electric starters), the writing was on the wall for most of the British marques. Some made a last-ditch attempt to stave off failure by hurriedly cobbling together something that might be competitive against the Japanese onslaught. 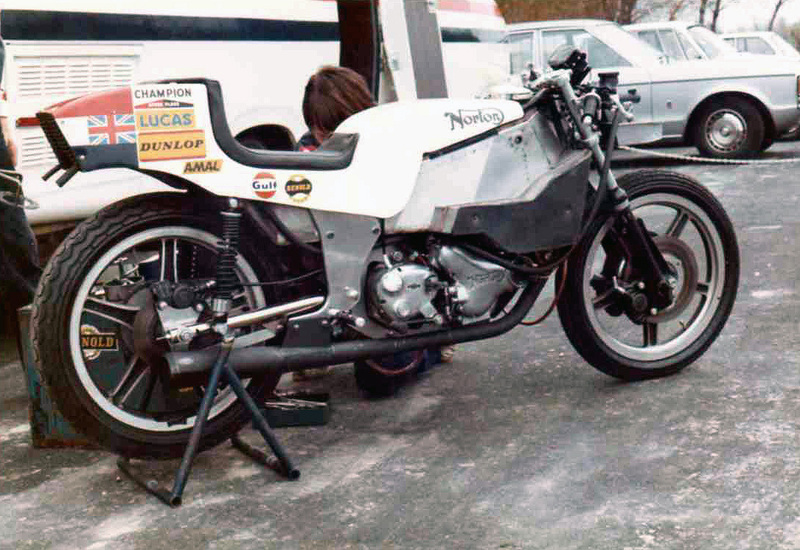 Norton’s last-ditch effort was the remarkable, but virtually forgotten, P86 “Challenge” prototype built around a liquid-cooled, double overhead cam twin designed in partnership with famed engine builder Cosworth. It would prove to be too little, too late, and the entire project would become mired by traditional British engineering conservatism and a general lack of funding as the venerated Norton brand wheezed its final breaths. Let’s take a step back to the early 1970s. Norton was still capitalizing on the success of their Commando platform, which began as a quick prototype built around the antiquated 750 Atlas motor in a rubber-damped frame that isolated the rider from the (stupendous) vibrations of the big parallel twin. Even in the 1960s the Norton twin was considered an obsolete design, a creaky old motor that dated back to 1948 (and that wasn’t particularly groundbreaking back then, either). 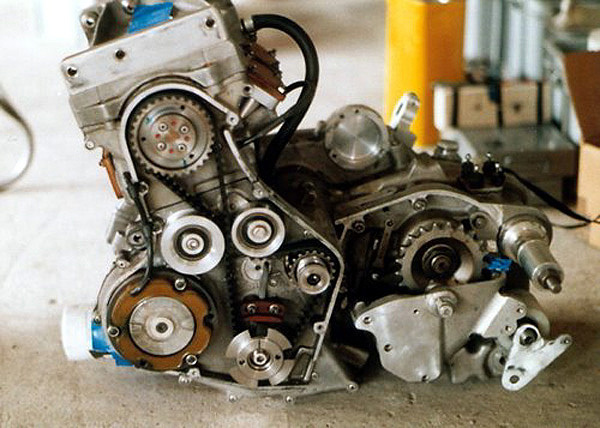 That original design was a 497cc mill, and subsequent years and attempts to remain competitive had packed on the cubes to bring the engine up to 745cc and finally 828cc. More displacement meant more power, but also more vibration from the paired cylinders and an increasingly stressed design that was overstretching the original design specs by a fair margin. The final 828cc versions actually detuned the power slightly to improve reliability - they made the same power as the earlier 745cc motors. 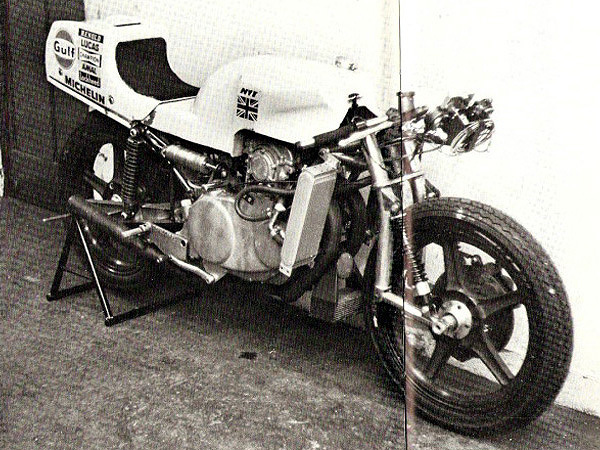 The famous John Player Norton monocoque chassis, circa 1973, built around the antiquated pre-unit twin. While sonorous and torquey, and potentially reliable if setup and maintained correctly, the Norton pre-unit twin was a dinosaur that was far from the cutting edge of motorcycle design. It was particularly disadvantaged in racing by the 1970s. Japanese competition was becoming fierce in production classes. 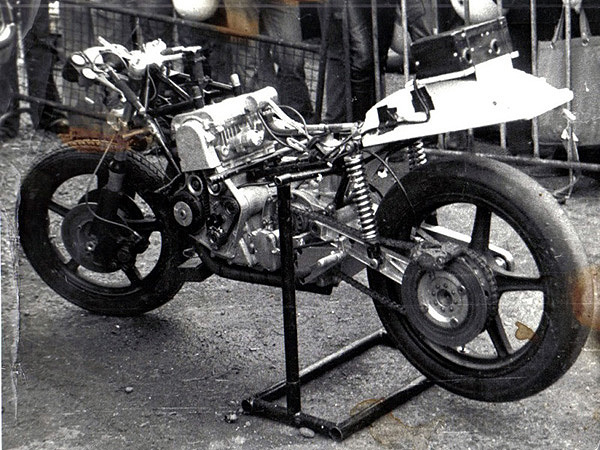 Norton racers were down on power and had significant reliability problems. Their chassis designs were reasonably competitive and sometimes quite innovative - the famous John Player Norton monocoque designs achieved some success and had some impressively forward-thinking frame design. Problem was underneath all the trick bits was that tired old OHV, air-cooled, two valve per cylinder twin and its fragile pre-unit gearbox, clattering out 70 odd horsepower while the competition was getting into triple-digit power figures. Something more modern and more competitive was needed, for both the street and the track. 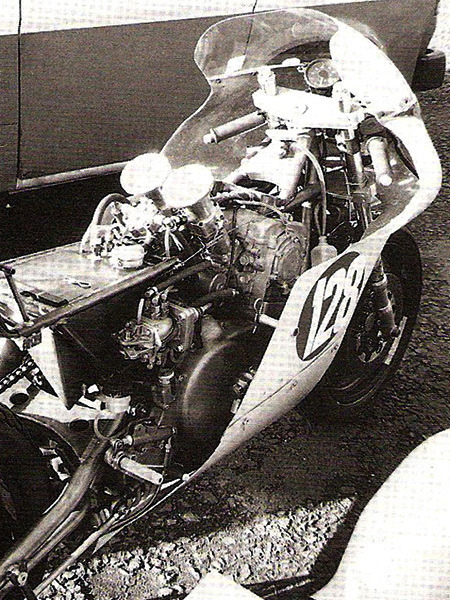 Norton approached Cosworth in 1973 to help build a modern powerplant that would serve as a new generation of motor for future street machines, as well as provide a competitive base for racing. They’d also have a proper motor to go along with their advanced monocque race chassis. Cosworth, in addition to being as British as polo injuries, was doing quite well in Formula 1 with its excellent Double Four Valve (DFV) V8 which had been developed in 1966. 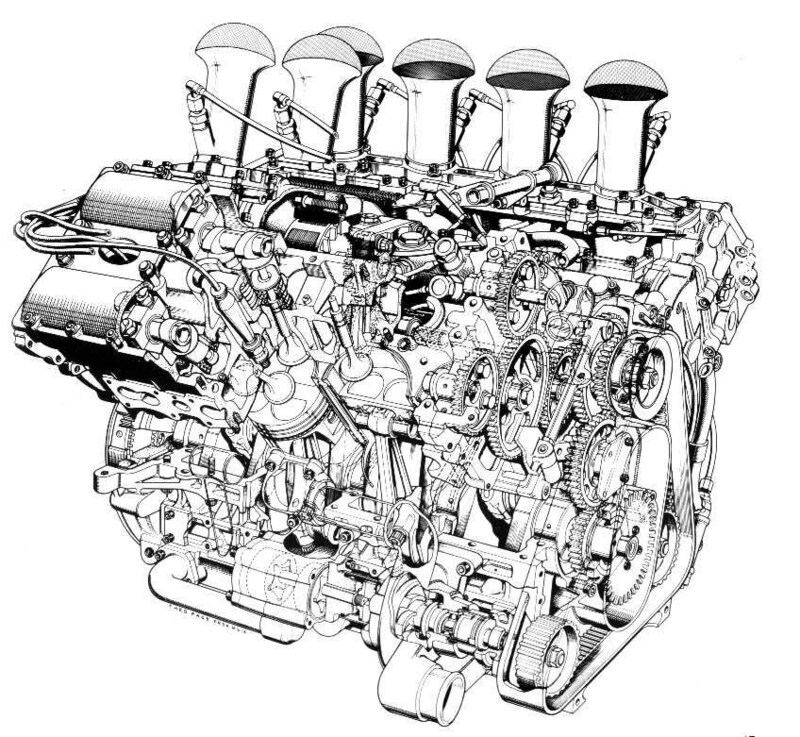 The idea was to use 1/4 of a DFV, which coincidentally would equal 750cc using the DFV’s bore and stroke, arranged as a parallel twin. It would be liquid cooled, have a modern four-valve head, dual overhead cams, and Cosworth-style flat combustion chambers. The design brief called for 65-75hp in street spec, and at least 100 hp in race tune. As the DFV made around 400-450hp from 2993cc, this seemed like a reasonable goal. The boys from Northampton set to work developing an engine for what would be dubbed prototype 86, or P86. 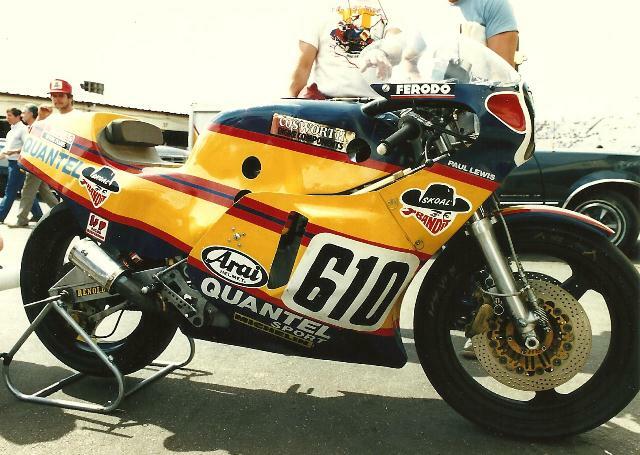 It was a liquid cooled parallel twin with a 85.6mm x 64.8mm bore and stroke, same as the DFV, giving 746cc. Dual overhead cams were driven off a single gear nestled between the two cams on the right side, similar to the DFV except that an automotive-style toothed timing belt drove the assembly. 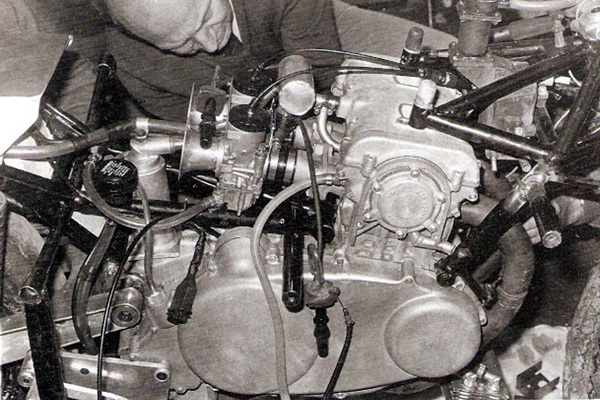 The DFV used a gear train to turn the cams, but this was noisy and required lubrication – the timing belt was a simple solution to both problems. A modern four-valve per cylinder head with DFV dimensions (shallow pent roof with 32 degree included valve angle, flat top pistons, large valve surface, wide ports) promised good breathing and combustion, the hallmark of Cosworth F1 motors which had hit upon the ideal formula for a modern flat combustion chamber design. Indeed, above the crankshafts there wasn’t much to distinguish the P86 from the DFV – they shared the same combustion chamber and head designs, and even used the exact same pistons and con-rods. There were literally Formula 1 parts inside the P86. Norton, being Norton, wouldn’t leave the Cosworth team to its own devices and stipulated several anachronistic design features that would prove to hamper the design significantly. One such requirement was that the twin must be capable of running through a single source of carburetion to make passing emissions testing easier, which necessitated the “traditional” firing sequence. That meant a time-honoured 360-degree interval, with the pistons rising and falling as a pair like God, the Queen and Bert Hopwood intended. Which meant the usual stupendous amount of vibration you get from a big British twin shaking itself to pieces. But of course vibration was not acceptable in a modern design, so rather than attempt to change the firing interval and risk making it harder to tune for increasingly strict emissions laws, a dual counter balancer system was developed. Problem solved. Except the counter balancers needed to be 20 pounds. You also need a massive, heavy flywheel to maintain tractability (and hold an idle) on a big twin, and Norton insisted on sticking it between the crankpins in the centre of the engine, just like they and everyone else in Britain had always done - which precluded the possibility of a strong centre main bearing. Famed technical writer Kevin Cameron wrote a detailed technical analysis of the P86 in 1980 and noted that the engine weighed 195 lbs, with seventy-five pounds of that being rotating mass inside the engine. That’s a lot of inertia to overcome, especially for something that is supposedly a racing motor. The DFV was a fuel-injected design, and had downdraught ports that took advantage of the perfectly metered flow that fuel injection offers. 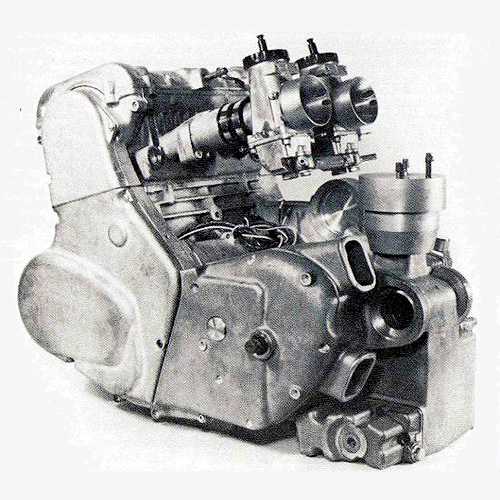 The P86 had a similar port design, but it was fed by antiquated Amal carburettors – the ports needed to be level at their entry to keep the carburettor floats on an even keel, and then turned down sharply to meet the valves. Both the port design and the odd angle conspired against power and hampered the fuel delivery. And Norton wanted to stick a single carb on the street version! Tradition wins over modern engineering, in customarily British fashion. We’ve always done it this way, old boy, so how dare you suggest those Japs have a better idea. My family has been working for Nortrumpetbizzalocette for three generations; I think I ought to know a thing or two about building motorcycles. 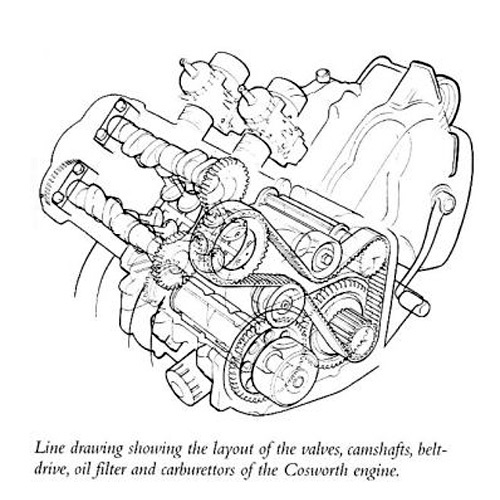 Norton wasn’t the only one complicating the process - Cosworth made things difficult as well. As per their practice with their F1 engines, Norton engineers and mechanics were forbidden from opening or adjusting anything inside the motor. Any repairs, maintenance or modifications were to be carried out by Cosworth techs alone. Having two sets of engineers, who don’t share information, working on a single project is a sure fire way to get stymied in a real hurry. The end result was a motor that was certainly better than the old pre-unit twin, but far behind expectations. In top racing tune with twin carburettors they achieved about 90 hp on the test bench in peaky, breathless fashion - not what they had been hoping for. 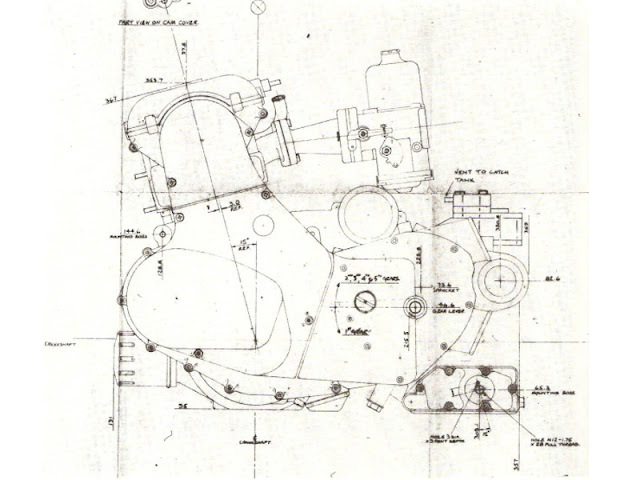 The massive amount of rotating weight inside the engine hindered response, while the massive weight of the motor itself meant it was never going to be as light as the Japanese competition. The lack of a centre main bearing limited potential rpms and increased flexibility of the crank. The belt driven timing was inaccurate and the belts themselves fragile. During his teardown of the P86 Kevin Cameron noted several odd design shortcomings, like a wholly inadequate crankcase ventilation system that was surely robbing valuable horsepower. Regardless of the shortcomings the project plugged ahead. A special chassis was developed that was virtually frameless, using the engine as a stressed member with vestigial supports for the subframe and steering head. 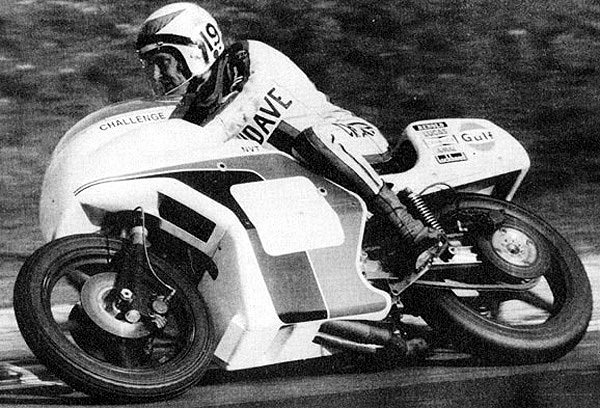 The new bike was raced publicly for the first time at Brands Hatch in 1975… Well, to say it was “raced” is being generous. They showed up and promptly crashed into a multi-bike pileup that occurred on the first lap. This was the P86’s introduction to the public, after repeated delays, so despite the fact the accident wasn’t their fault it did nothing to aid the reputation of the supposed saviour of the British industry. Subsequent outings on the track had disappointing results, with the P86 “750 Challenge” falling far behind the much more powerful opposition. Some attempts were made at modifying the chassis to improve handling but it wasn’t enough to make up for the significant power deficit. Meanwhile, Norton was in dire financial straits and money to continue the project simply didn’t exist. There had never been enough funds to maintain the project in the first place. The company had been operating on borrowed time for years, and the P86 project had been in constant flux. Norton could barely keep solvent in the early 70s, particularly after the Combat engine disaster hurt their bottom line and their reputation, and by 1975 the end was near. Famed racer Phil Read offered to take over development, but upon further diligence he promptly withdrew his offer and declared the P86 was not going to be a winner without serious changes. Meanwhile Cosworth was committed to Formula 1 efforts and could not devote a great deal of energy towards a dying, chronically underfunded project like the P86. Circumstances were conspiring against the success of the P86. After months of labour difficulties and slumping sales, parent company Norton Villiers Triumph was split up in 1976. The main factories were closed and production of spare parts was taken over by an offshoot company dubbed NVT Engineering, who would also continue production of the Commando using the existing parts stock in 1977-78. The racing and test departments were disbanded, the prototypes gathering dust were sold off. The P86 was no more, and the existing bikes and spare engines (about 30 in total) disappeared into the ether. Well, most of them disappeared. Remarkably, the P86 would make a comeback ten years later at the 1986 Daytona Battle of the Twins as the Quantel, a trick machine powered by a “Cosworth” engine… which happened to be the old P86 engine - reworked, fuel injected, and punched out to 823cc. 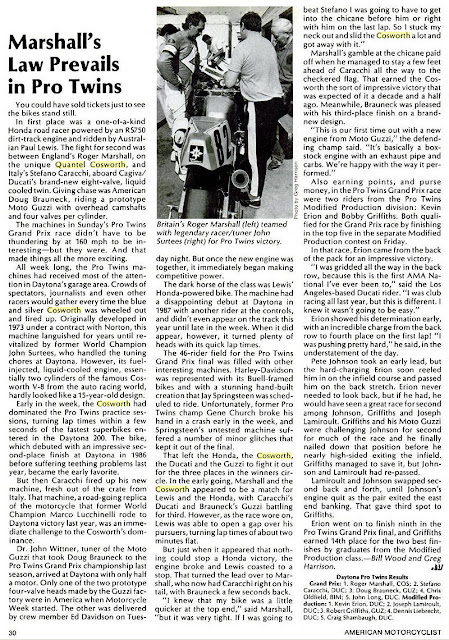 The Quantel would take second place in 1986, with a win in 1988, and would achieve some success in European BOTT venues as well. It seemed that with Norton out of the way and a few more years of development, the P86 could be made into a competitive racing platform. 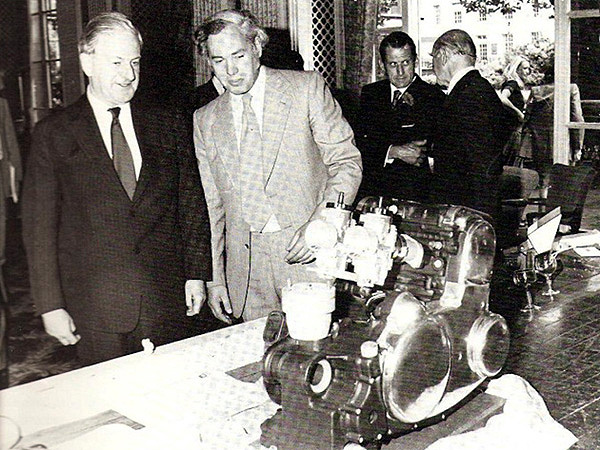 The story goes that when United Engineering Industries took a controlling interest in Cosworth in 1984, new chairman Robert Graves (founder of the Quantel media company in the UK) was being given a tour of the facilities by Keith Duckworth (the "worth" in "Cosworth"). Graves spotted the P86 engine sitting in a corner, and asked Duckworth about it. Duckworth declared "You're looking at the only engine we have built that has never won a race.". Apparently Graves saw this as a good challenge and promptly took the old engine, sunk another 100 000 pounds sterling into further development, hired John Surtees to help tune it, and made it competitive. 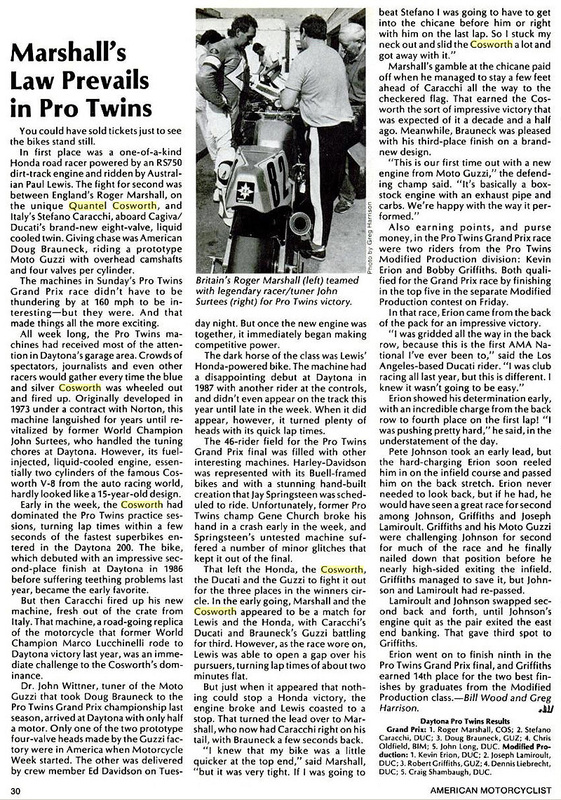 Good press for Cosworth, not much help to Norton (who began building Wankel-rotary powered motorcycles from 1983 onward). 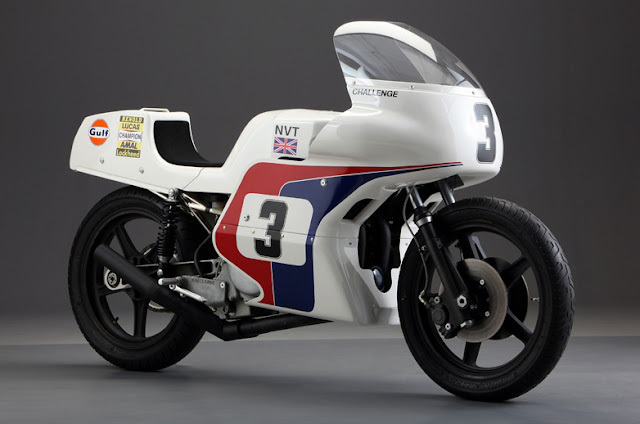 The P86 “Challenge” faded into obscurity after the collapse of Norton Villiers Triumph in 1976 and today remains an interesting footnote in the history of the British motorcycle industry. Here was a genuine attempt at modernity that had high hopes tied to it. Some speculate that if the P86 had been developed earlier, when the British were still at the top of their game, the British motorcycle industry could have turned out very different… Could, would, should – didn’t. It was too little, too late, and the project was hampered by the traditional “we’ve always done it this way” attitudes and a severe lack of cash flow. Thus the British industry collapsed under its own hubris, Norton was broken up, and the P86 became a dusty relic of “what could have been”. 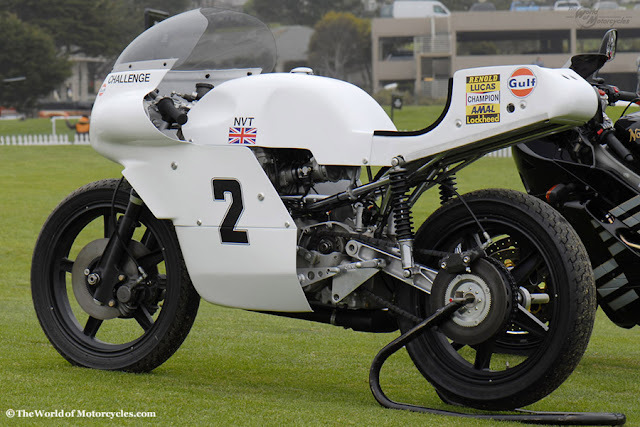 Collection of photos of the P86, the Quantel, and the John Player Norton racers. Kevin Cameron's technical analysis of the P86 engine. The Quantel-Cosworth at the 1986 Daytona Battle of the Twins. Period documentary about the John Player Norton racers. It's always easy to cricise some else's work and effort when one has the benefit of hindsight. Norton always was a cash-strapped company with a reputation far larger than their financial power. They never had any money in the first place, which led to the later problems. It was not only Norton's fault that this project faltered. 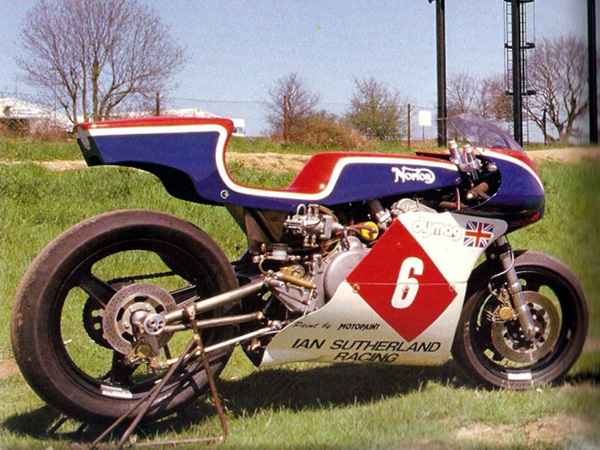 Norton had no money and Cosworth had no time. 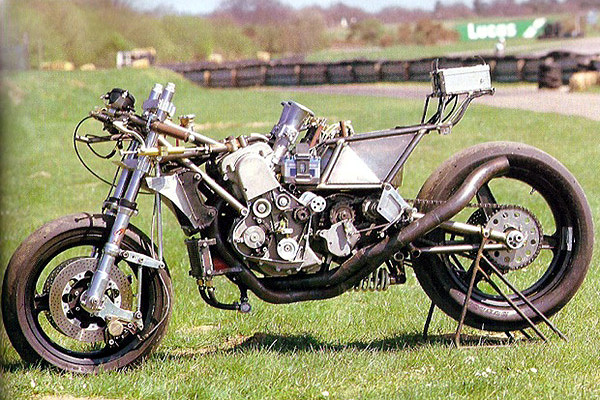 And Norton put their fingers into engine design and Cosworth insisted on knowing better how to build a motorcycle chassis. Yes, it is easy...and true! Thanks for such a wonderful enlightening story, if though somewhat very saddening... very interesting and quite believable living through Britains somewhat golden motorcycling era.